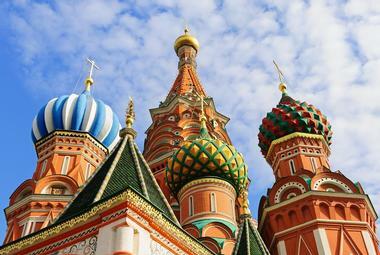 Known for being the largest country on Earth, Russia has a unique and mysterious history. More than 144 million people call this special country home. The country has shed its identity as part of the USSR in the last 30 years and has emerged as an economic and political superpower because of its burgeoning economy, participation in worldwide policymaking, and strong military presence. In regard to tourism, Russia has a wealth of museums, parks, monuments, and cultural attractions, and there are also plenty of natural attractions that draw visitors away from its busy cities. As one of the most iconic sites in St. Petersburg, the Winter Palace dominates Palace Square and stands as a symbol of the city’s cultural, historical, and artistic inheritance. 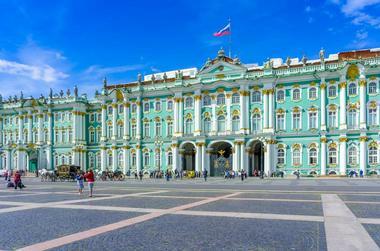 The palace got its start in 1708 as a Dutch-style wooden home that was built for Peter the Great and his family. 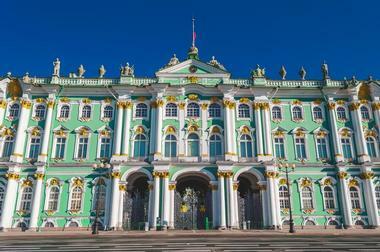 In subsequent years, the Winter Palace was transformed into the colorful and ornate building that it is today. The interior of the palace contains grand staircases, gold-leafed trim, and intricate marble work. Visitors can tour some parts of the Winter Palace, including the incredibly beautiful State Rooms. As the seat of government in Moscow, the Kremlin has multiple museums and exhibits where visitors can come to learn about Russia’s fascinating history. In the Armoury Chamber, visitors can view more than 4,000 unique exhibits with artifacts from Russia and abroad. 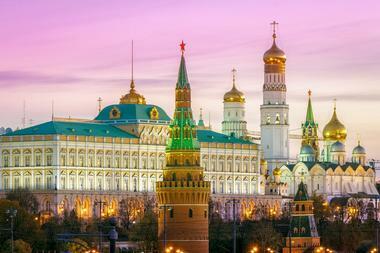 The Assumption Cathedral stands out because it is the main church of the Russian state. The Archangel Cathedral, named after Michael the Archangel, holds the remains of Moscow’s grand princes, while the Annunciation Cathedral is considered a prime example of Russian architecture. 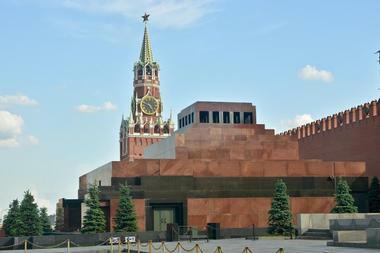 Several other buildings and monuments are part of the Kremlin museum as well. The Russian Academy of Fine Arts has produced many of the country’s most talented painters, sculptors, and creators. Located in St. Petersburg, this ornate museum features all kinds of paintings by students and staff of the academy. 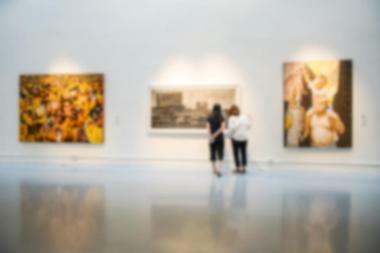 The museum also has temporary exhibits from well-known local artists, and there is a yearly exhibit of academy pieces that is held in Moscow. The museum is the perfect spot for an afternoon outing. There is a flat rate for admission, and visitors can pay a bit extra to take photos or videos inside of the building. Located in the middle of St. Petersburg next to Palace Square, Alexander Garden was once a popular hangout spot for the aristocracy of St. Petersburg. 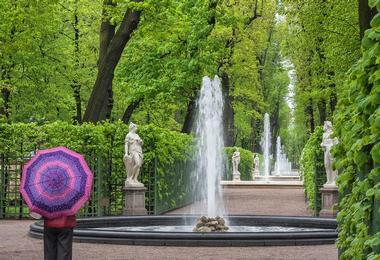 Designed in the 1800s, the garden was created to honor the 200th birth anniversary of Peter the Great. It officially opened in 1874 under the watchful eye of Alexander II, who requested that more than 50 species of plants be placed on the premises, and the garden received a major overhaul in the 1920s. This peaceful place is open to visitors throughout the year. Celebrated as an 18th century wonder of the world, the Amber Room was once the gem of the czar’s Winter House in St. Petersburg. This breathtaking space contains more than six tons of amber arranged around tall mirrors and gold-leafed walls. 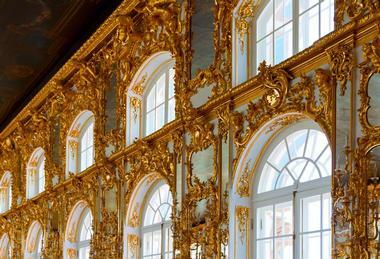 Designed in the early 1700s, the Amber Room was assembled in Berlin and sent to Russia as a gift for Peter the Great. During World War II, the room was sacked by the Nazis, who carted most of the amber back to Germany. The new Amber Room, completed in 2003, tries to recapture the glory of this special place. A maze of secret tunnels beneath Moscow leads to Bunker 42, a Cold War fortress that was built shortly after the first nuclear bomb tests were conducted by the Soviet Union. The builders of this fortress had a daunting task: they needed to construct the chamber without interrupting daily activities in Moscow, and the entire project had to remain absolutely confidential. Construction on the bunker ended in 1956, but it was never put to use for its original purpose, and today it serves as a museum and historic monument. 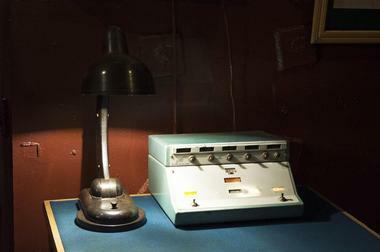 Visitors can see the bunker and surrounding tunnels by joining a guided tour. Known alternatively as the Village of Dargavs, this mysterious place is home to a cemetery that holds nearly 100 stone crypts. The cemetery provides an interesting glimpse into life 400 years ago, since many of the people here were buried with their earthly belongings. Local legend says that a plague swept through Ossetia in the 18th century and that it devastated the population so thoroughly that villagers would sit in the cemetery and simply wait to die. The cemetery receives visitors from around the world, but due to its obscurity it isn’t an easy destination to reach. 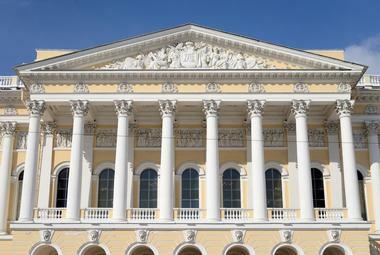 This lavish museum was established in 2013 within Shuvalov Palace. 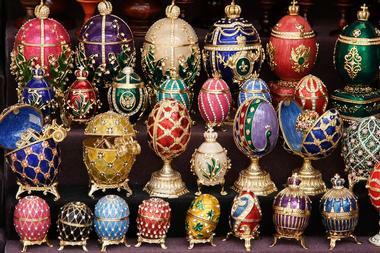 Known for holding the world’s largest collection of Faberge eggs, the nine eggs that were first displayed in the museum were purchased from American entrepreneur Malcolm Forbes for $100 million. Since then the collection has grown to more than 4,000 pieces that are displayed in 12 different rooms. Aside from Faberge eggs, the opulent museum contains paintings, handmade clocks, rare jewelry, artifacts from Russia’s royalty, and other impressive pieces. The museum is open daily with the exception of Fridays. As the central park of Moscow, Gorky Park receives close to 40,000 visitors on weekdays and up to 250,000 visitors on weekends. This lively place is used for recreation, games, public gatherings, concerts, demonstrations, and all kinds of other special events. 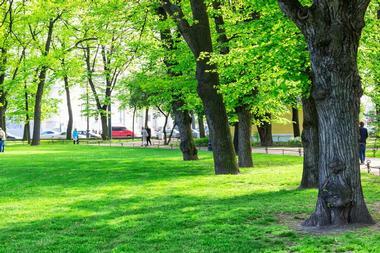 Gorky Park offers some useful amenities including a childcare room, multiple play areas, plenty of parking, a first aid center, and free Wi-Fi. There is an ice skating rink, an education center, a cinema, and several restaurants on the premises. 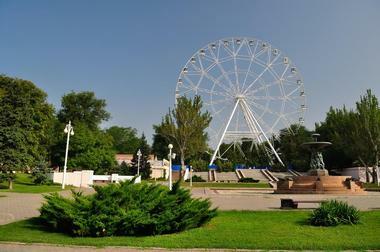 Gorky Park is open 24/7 and admission is free to the public. 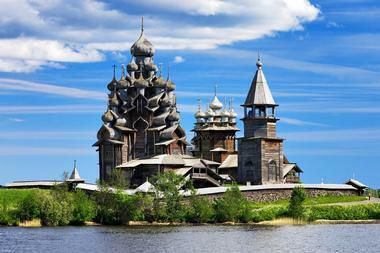 Kizhi Island on Lake Onega is one of the only places to view Russian wooden architecture, with incredible multi-domed wooden churches scattered across the island. Some of these buildings, such as the Church of the Transfiguration, are still used today for religious ceremonies and sacred gatherings. In the summer months Kizhi Island is beautiful and welcoming, but it becomes icy and enchanting during the winter months. 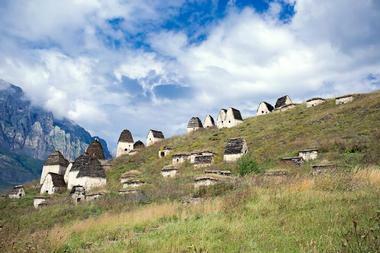 Kizhi joined the UNESCO list of World Heritage Sites in the 1990s. 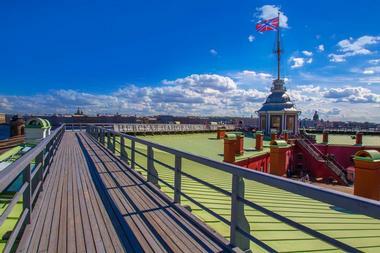 This museum dedicated to Peter the Great celebrated its 300-year anniversary in 2014. Established in the mid-1700s, Kunstkamera has played an important role in capturing and preserving information about Russia’s accomplishments at home and abroad. Some of its earliest collections include pieces from Peter the Great’s expeditions through Europe, research conducted by Russia in the Pacific, and items from the famed voyages of Captain James Cook. The museum continually participates in research and outreach efforts and is open Tuesdays to Sundays each week. Lenin’s Mausoleum is significant in that it holds the embalmed remains of Vladimir Lenin, the famed leader of the Bolshevik Revolution. His body rests inside of a red and gray pyramid-shaped tomb. Although Lenin requested a traditional burial, those who outlived him had different plans. His body was put on display during his funeral, and attendees were so outraged at the thought of burying him that the government allowed his body to be embalmed and moved to a mausoleum. Today, visitors are allowed to spend up to 5 minutes viewing the remains of this famous leader. Once the site of many top secret meetings and unspeakable horrors, Lubyanka is the former headquarters of the KGB, the secret police of the USSR. The building that houses Lubyanka was erected in the late 1800s for an insurance company, but it was quickly converted to the secret police headquarters after the October Revolution. 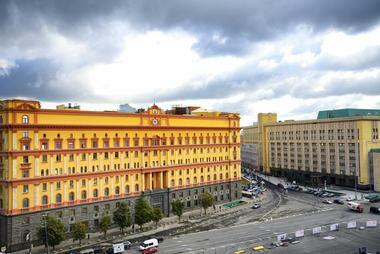 A detailed description of the Lubyanka prison can be found in Aleksandr Solzhenitsyn’s The Gulag Archipelago. 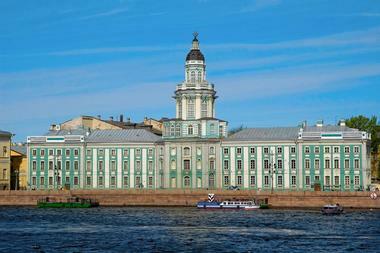 Today, visitors can only see Lubyanka if they request access in advance. Although it doesn’t have the grandeur of other St. Petersburg structures, Peter and Paul Fortress is a key piece of the city’s history. The structure was built to defend St. Petersburg in the event of an attack, but it has never been used for that purpose. Instead, it has served as a military base, a central seat of the Russian government, the burial place of some members of Russia’s imperial family, and even a jail for the country’s political prisoners. The Peter and Paul Cathedral housed within the fortress walls is a top destination for tourists. In the summer months, a beach near the fortress draws visitors from all across the city. 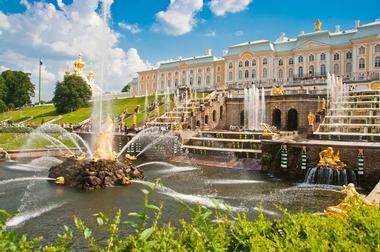 The Peterhof Palace is a grand building surrounded by beautiful gardens and impressive fountains. The entire complex contains the palace, the Grand Cascade water fountain display, Oranienbaum Park, and Alexandria Park. 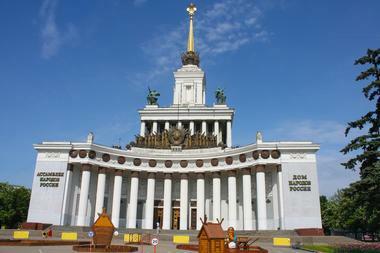 The museum within the palace contains more than 320,000 items from Russia and abroad. There are multiple displays within the museum from different time periods and prominent artists. Most parts of the Peterhof Palace complex are open to the public for free. 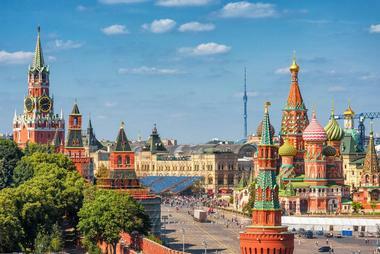 The Red Square evolved from a shanty town to a central fixture of modern day Moscow. In the 1400s, the square attracted peddlers, criminals, and drunkards who couldn’t officially live in the city but were permitted to squat just outside of it. In the 17th century, the Red Square underwent a transformation and became known as Trinity Square because of the Trinity Cathedral, which was built nearby. In the 1940s, the Red Square was used primarily for military parades and training. Today, the area attracts crowds for special celebrations like New Year’s Day and national holidays. This year-round alpine resort is located in a beautiful and secluded part of Russia. Best known for its use in the Sochi 2014 Olympics, Rosa Khutor offers all of the amenities of a world-class ski area, including a lift system, ski and snowboard rentals, season passes, and ski instruction. Visitors will also find plenty of groomed trails and areas that are suitable for backcountry skiing. 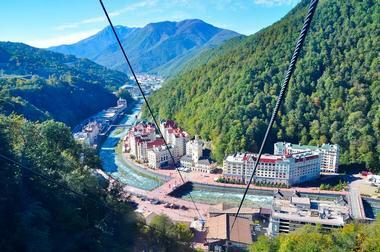 Rosa Khutor Alpine Resort is also home to several three to five-star hotels, which are often used for corporate events and special gatherings. There are also shops, restaurants, spas, and other amenities on site. Located in St. Petersburg, the State Russian Museum got its start under the rule of Tsar Alexander III, who was one of the first rulers to create a large collection of art from Russian masters. The Tsar’s son, Nicholas II, opened the State Russian Museum in honor of his father, and today there are more than 400,000 pieces on display from deceased as well as contemporary artists. Since the end of the Soviet Union, the museum has been celebrated as one of the three most important buildings in St. Petersburg. 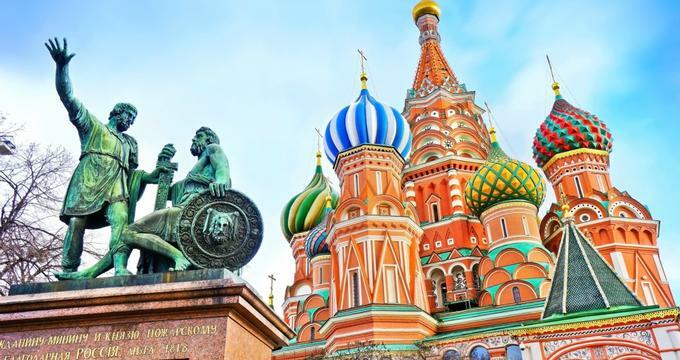 As one of St. Petersburg’s most iconic buildings, the multi-domed St. Basil’s Cathedral was commissioned by Ivan the Terrible in the mid-1500s. Although architectural specialists have studied the building in-depth, they still haven’t uncovered the inspiration behind its unique design. Some aspects of the cathedral appear to be inspired by the churches of Jerusalem. St. Basil’s was nearly destroyed by Stalin to make room for military parades, but it was spared because of a bold architect who refused to condone its demolition and thus spent 5 years in prison for his opinions. Today the cathedral is used as a museum. The Summer Garden sits near the point where the Fontanka River meets the Neva River. Founded in 1704 by Peter the Great, this beautiful garden contains nearly 80 handmade sculptures acquired from around Europe along with tall, ornate fountains. There are also multiple types of plants and trees spread throughout the park. Visitors enjoy strolling through the gardens and grabbing a bite to eat at the coffee and tea houses located within the Summer Garden. This peaceful garden is located next to the Field of Mars and St. Michael’s Cathedral, and is open throughout the year. 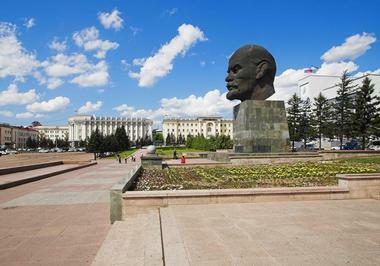 Situated far off in Eastern Siberia, the Giant Lenin Head of Ulan Ude has the distinction of being the largest depiction of this leader’s head in the world. The austere monument was built in 1970 to celebrate the anniversary of Lenin’s birth. Towering more than 25 feet over the main city square, the Lenin head weighs in at 42 tons. Locals have noted that the statue tends to be a popular place for newlyweds to take photos. In the wintertime, the monument often wears a cap of fresh snow. Opened in 1937, the Motherland Calls is also known as the Defense Museum. The museum has been divided into three sections: the defense of Tsaritsyn, the defense of Stalingrad, and the restoration of Stalingrad. The museum contains multiple collections and virtual exhibits of important events in the history of Stalingrad and different aspects of the city’s history. All of the exhibits are focused on how war and political upheaval affected Stalingrad and Russia as a country over the years. 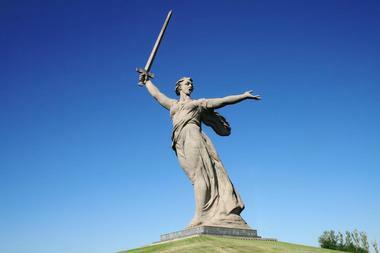 The Motherland Calls museum is open throughout the year. Located in the same city as the Ulan Ude Lenin Statue, this attraction is known for being one of the largest museums in Russia. The open-air museum hosts a variety of cultural events throughout the year and draws visitors from Russia and abroad. 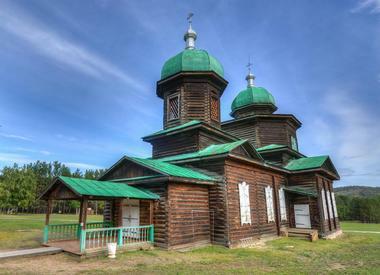 Attractions at the ethnographic museum include authentic Mongolian yurts, reindeer teepees, and wooden barns and churches. Visitors can enter some of the buildings while others can only be viewed from the outside. The Ulan Ude Ethnographic Museum is open throughout the year, although the hours vary from the winter to summer months. The VDNH Park contains all kinds of interesting attractions, including Moscow’s tallest snow tubing slide, one of the largest ice skating rinks in Russia, and an adventure rope park called Sky Town. At the onsite museum, visitors can see interesting and whimsical displays about different topics, including cinematography, beekeeping, and outer space. Visitors can also take a sightseeing tour around VDNH to see the 49 unique landmarks that are spaced throughout the park, along with the well-kept gardens in the complex. There are also plenty of restaurants and shops for visitors to explore in VDNH.